Reading by the Window Counted Cross Stitch Pattern to print online. 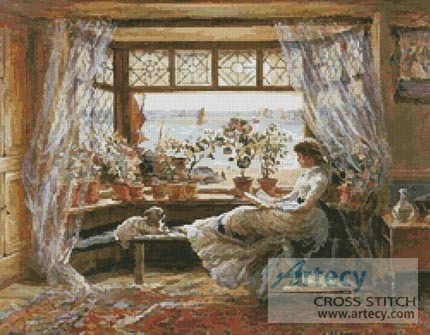 This counted cross stitch pattern of a Lady Reading by the Window was created from a painting by Charles James Lewis. Finished size = 18" x 14" using 14count or 14" x 11" using 18count.